The Ready For Hillary Super PAC officially launched in early April, and it already has five full-time staff members, as well as a contract with the consulting firm run by top aides to President Obama's 2012 reelection campaign. The political action committee has also raised over $1 million since this spring. Funding comes from both elite donors, who are likely to figure prominently in Clinton's future campaign fundraising should she choose to run, as well as a high number of repeat small donors, à la Obama's two campaigns. 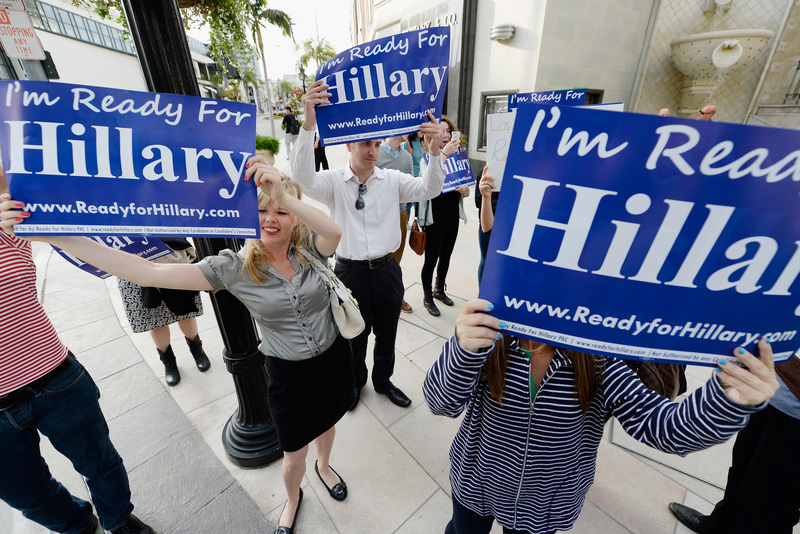 Ready For Hillary has received more than 3,625 contributions of $20.16 each. Per usual, Hillary is keeping her distance (and silence). But word on the street (or, you know, the New York Times) is that members of her inner circle who previously viewed the group with skepticism are now starting to think Ready For Hillary's fortunes would reflect well on the former secretary of state. We think so too. Also, check this tweet about Zimbabwean President Robert Mugabe. The million dollar fundraising news comes the day after Obama and Clinton sat down for a very high-powered lunch. Though the White House said the meal was "chiefly social," there has of course been speculation that the two were chatting about the possibility of Clinton succeeding Obama. New York magazine was on it with this hilarious commentary dissecting the single photograph the White House released of the lunch. "Both Obama and Clinton were given their own personal salt and pepper shakers," the post reads. "Just as they were unable to share the Democratic nomination, and just as they will never be able to share the mantle of the Democratic Party, so, too, are they incapable of sharing a single set of salt and pepper shakers."